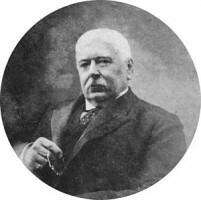 Hugh Farmer: Dairy Farm was incorporated in 1886 in Hong Kong by Scottish surgeon Sir Patrick Manson and five prominent Hong Kong businessmen, Sir Paul Chater, Mr Phineas Ryrie, Mr Granville Sharp, Mr WH Ray and Mr JB Coughtry. 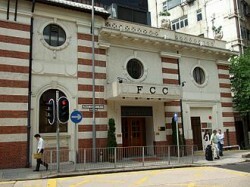 Manson worked in Hong Kong only from 1883 to 1889. Initially there were 80 cattle which had been imported from Scotland and total capital of HKD30,000. The Company’s website says the “founding objectives were threefold: to improve the health of Hong Kong people by supplying clean and uncontaminated cows’ milk; to half the price of milk by breeding a herd of imported dairy cattle locally; and to realize a profit for its shareholders. 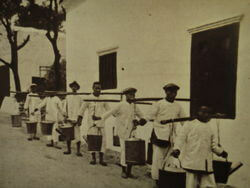 The original farm was established at Pokfulam and staffed by British livestock experts. Initially the Dairy Farm pioneers had to contend with disease in the herd and other problems caused by the unfamiliar climate. Undeterred by these challenges, they persevered and soon achieved a thriving enterprise. The Foreign Correspondents’ Club, Lower Albert Road.